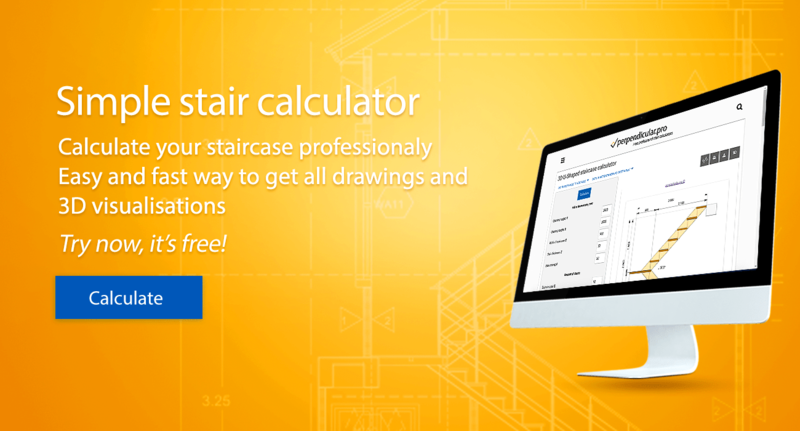 Our online stair calculator apps help thousands of people to assess convenience of the design of their staircase, to determine its safety, its main parameters and to visualise the construction. 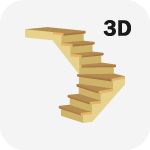 Building stairs is no longer a subject for professionals exclusively but something you can do yourself. 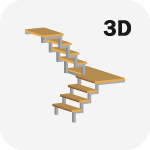 And you can easily see your output thanks to our detail drawings and the 3D function. 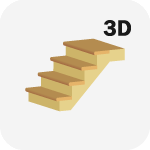 First, choose your staircase type. 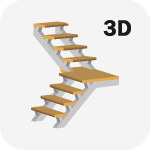 Decide if you want to calculate one with wooden stringers, with metal (steel) stringer(s) or a concrete staircase. 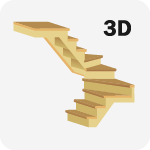 Then see which staircase shape is appropriate for you. 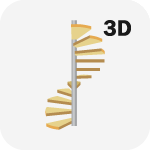 We offer calculators for those with turn like L-Shape or U-Shape (also called switchback or half-landing), winder or double-winder or even spiral and concrete staircases. 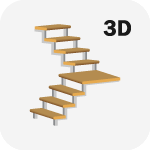 We encourage you to try different shapes, since shape determines the convenience given your space parameter. 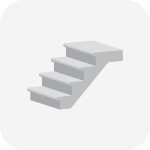 Second, specify the width and height of the opening, stair length, the size of the steps and stairs in mm, the number of steps you desire and stringer thickness. 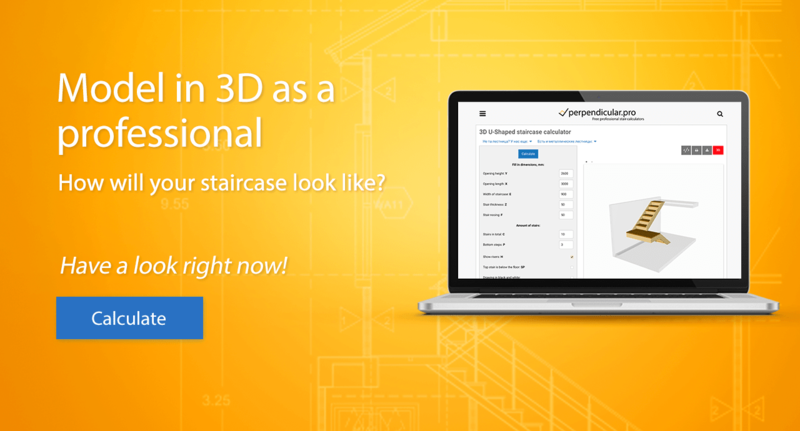 The accuracy of the result depends on the correct measurement of your initial dimensions. 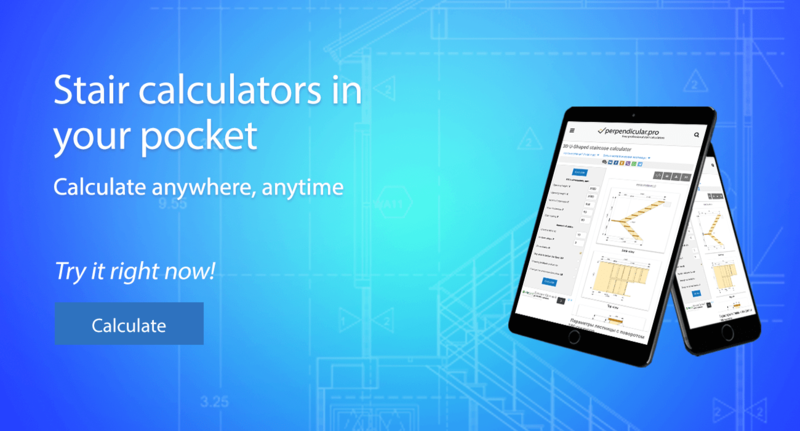 Finally, press the button: Calculate. 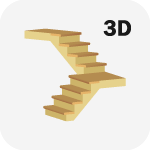 calculation of building materials and building structures. Our apps could also be used as stair rise and run calculator. 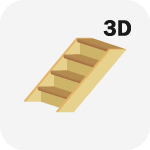 This is because apart from calculating overall dimensions of a staircase, you will also get such outputs as: stair tread, stair stringer, deck, riser, angle and many more. 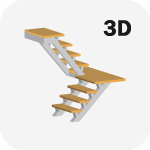 These outputs are available for all 16 staircase types. 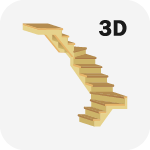 These apps can also be used as ez stair calculators. 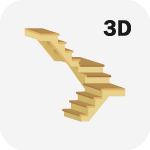 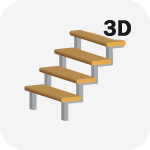 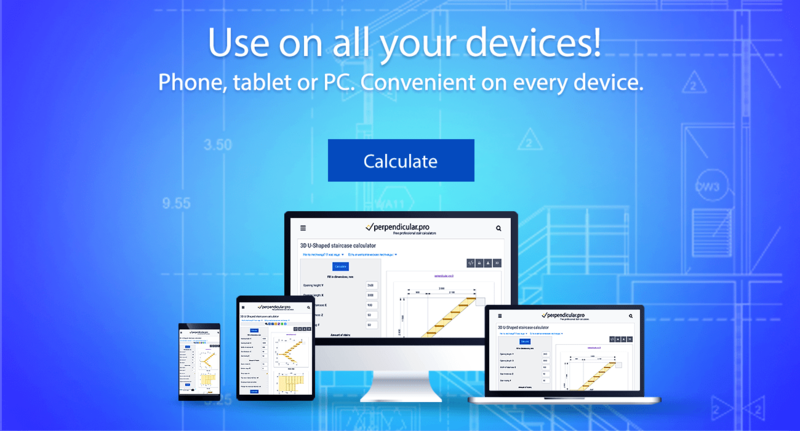 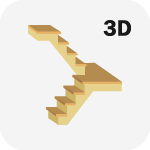 Visitors of perpendicular.pro have the opportunity to use professional staircase calculators for free and on all devices!